Running out of rooms to hangout at home? Want to transform that dingy deck into an inviting space to read, drink wine and entertain friends? 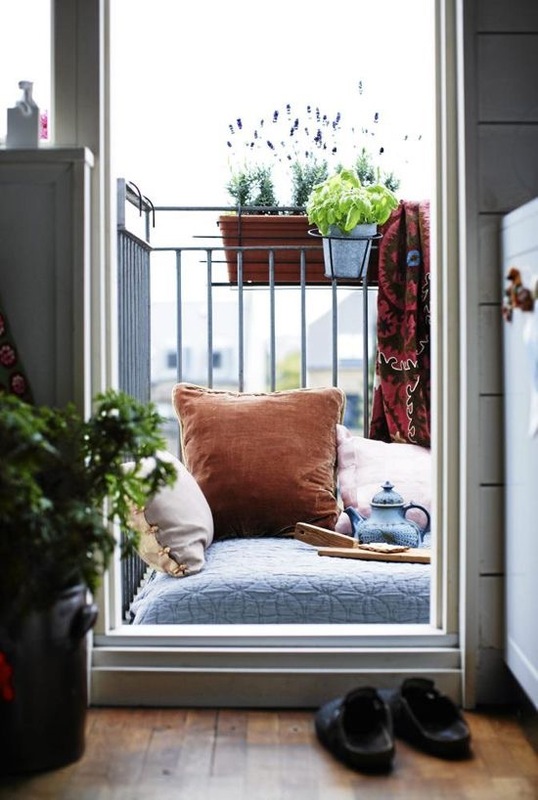 Well, we’re going to share 5 quick and easy steps that anyone can take to repurpose your deck into a welcoming little nook that you will love to come home to everyday. 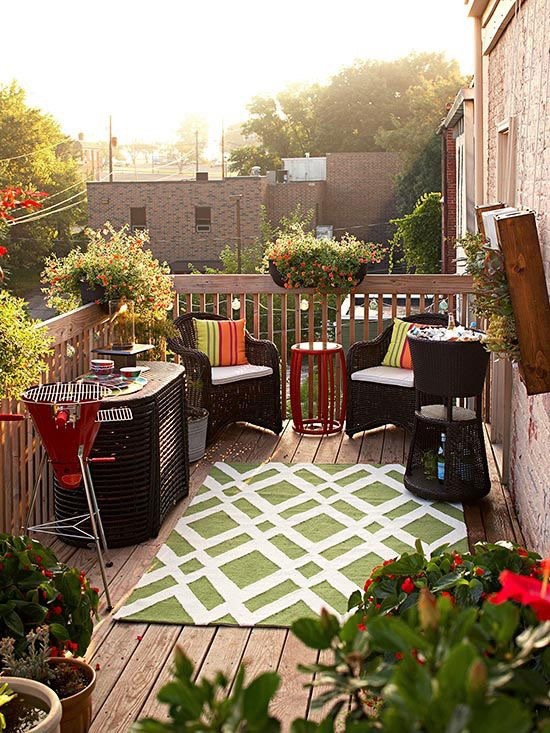 The outside deck is one area that very often gets overlooked when it comes to decorating. It tends to become a storage area for the bbq, the bicycles, bags of potting mix etc. Feeling a little sheepish? Don’t 🙂 Next time you drive past a high rise apartment block, take a look and you will see that the majority of the decks contain these items and the ubiquitous drying rack with yesterday’s wash turning into a baked tortilla. 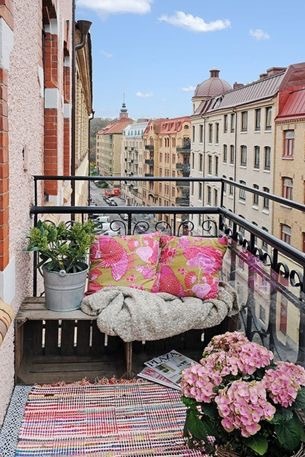 While there is nothing wrong with using the deck as a functional storage facility, imagine how much more fun and inviting it would be to use it as a place you can sit in the sun to read or do your work? 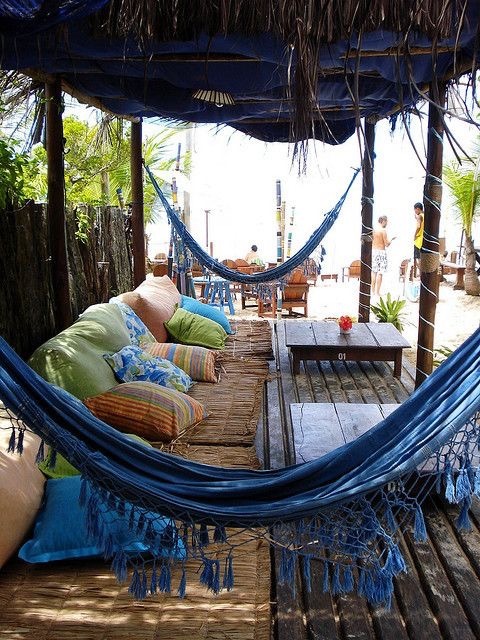 Or a place to have your friends over for drinks on a Sunday afternoon? 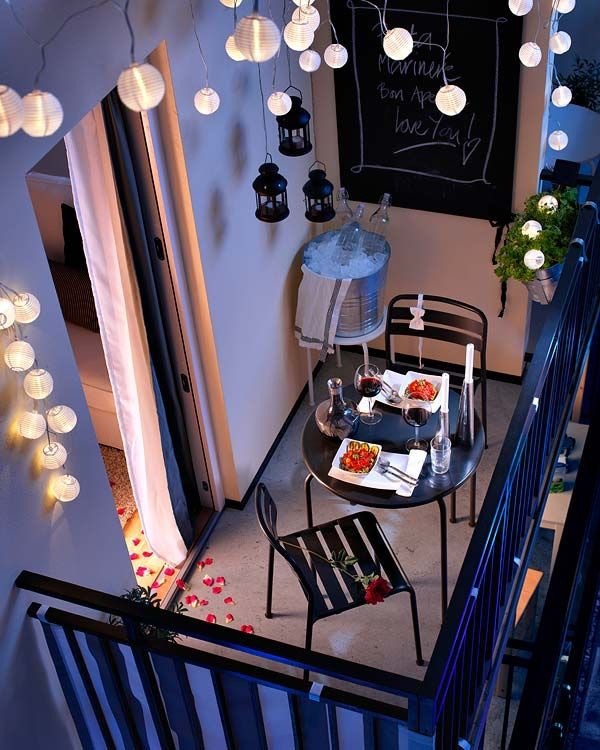 Or to unwind after a long day at work with a glass of wine at night with the stars twinkling above you? Sounds tempting? This is exactly what we are going to help you to create in 5 easy steps. 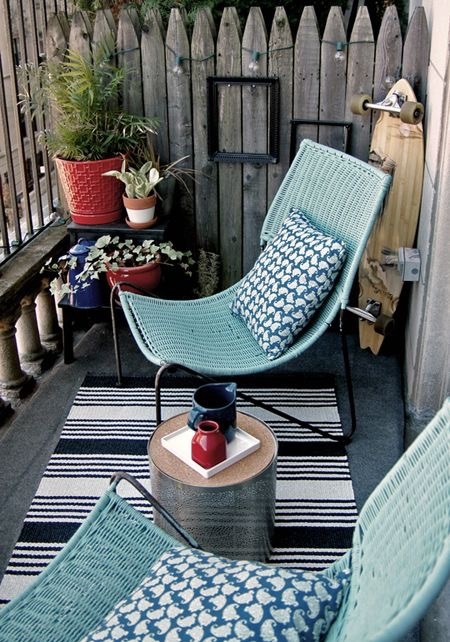 Whether you use a hammock, deep armchairs, barstools, bean bags, or love seats, seating is vital into creating an inviting outdoor deck. Your choice of seating will be dependent on the amount of space you have available and also whether your deck is completely exposed, partially sheltered or completely covered. Just like you cannot have pancakes without maple syrup, you cannot have chairs without a table. If you haven’t got the room for a full-size table, consider smaller round cafe bistro styled tables. Skinny high bench tables also make for a great bar setting without taking too much room. Coffee tables, side tables or barstools (that double cleverly as additional seating!) 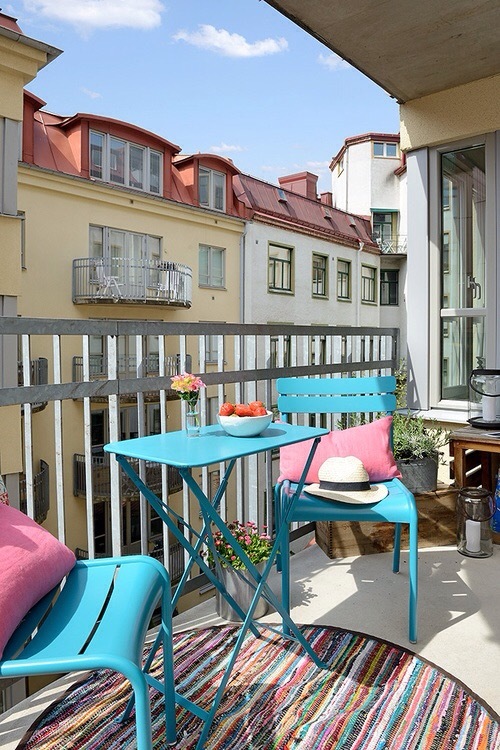 are also gorgeous alternatives that go a long way into creating a usable deck. 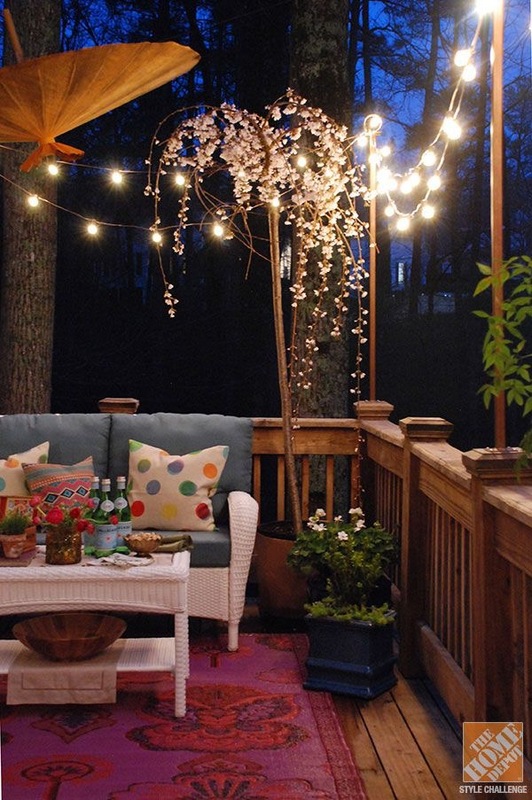 Lighting is like the icing on the cake when it comes to decorating your deck. 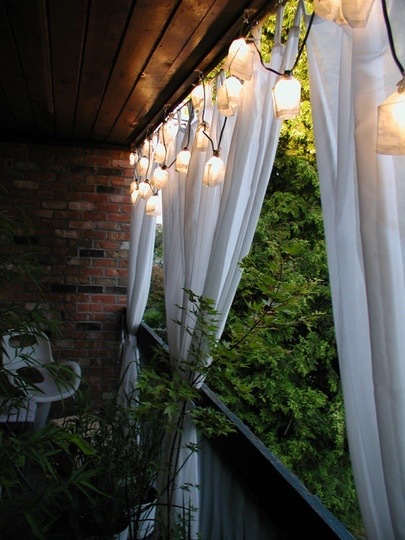 If your deck does not have access to a weather-proof power point, solar powered or battery powered fairy lights (yes, they have those! Look into your local hardware store for options) are a wonderful alternative. Candles in hurricane lamps, or citronella candles that double as mosquito repellant are wonderful mood setters. 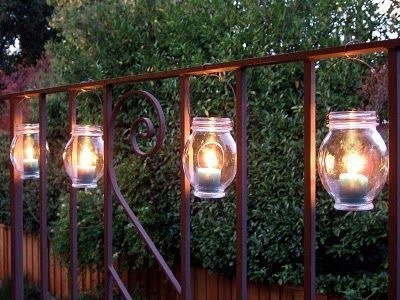 If your deck is particularly exposed to strong winds, battery powered candles in frosted candle holders will do the job too. 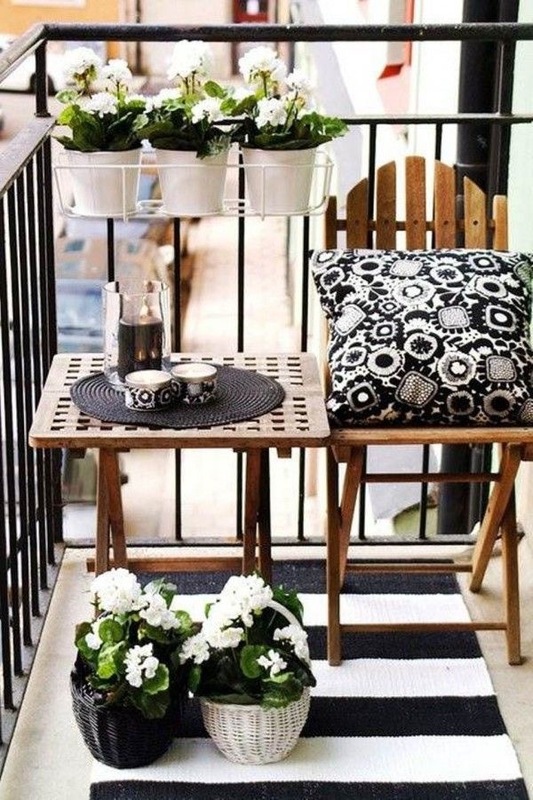 Whether they’re used indoors or outdoors, potted plants are like the magic fairy dust of interior decorating. A sprinkle of it here and there, on a table, in hanging baskets, on a window box or arranged in a cluster in a corner, potted plants add life, cheer and colour to any area. 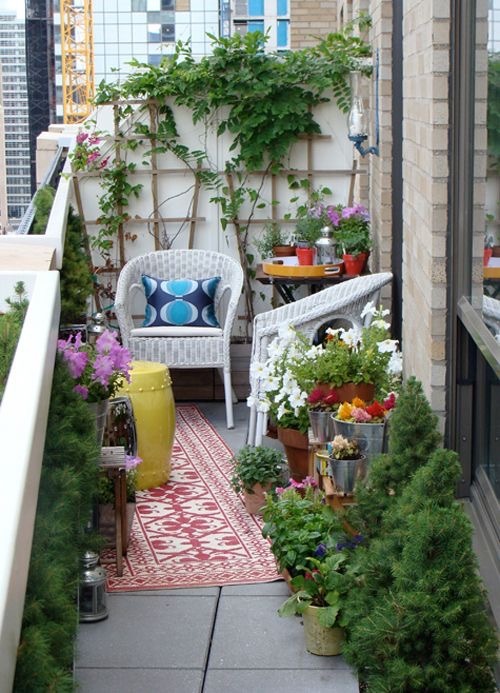 Select plants that are suitable for the amount of sunlight and rain that your deck receives. Otherwise, your plants might get “sun burnt” from too much sun or water logged from too much water. Plants like Mock Orange, Lavender and Lemongrass are wonderful choices because of their hardiness and low maintenance. Best of all, these plants emit a naturally beautiful fragrant that will fill your deck with a lovely perfume all day and night. Nature’s own naturally scented candles! 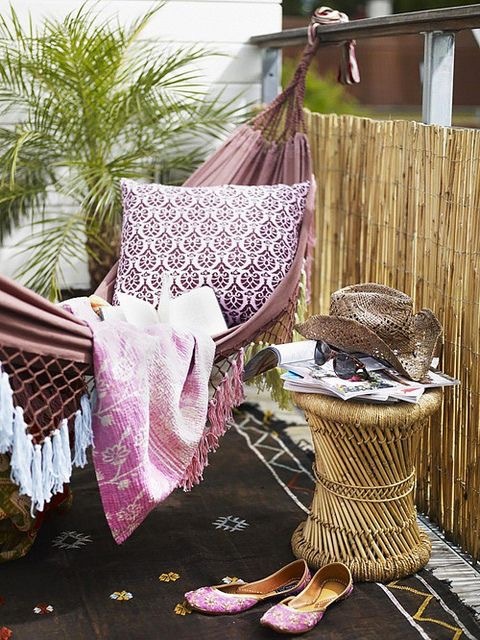 If you don’t like the feel of plastics, there are also gorgeous outdoor rugs made from naturally woven jute and hessian that are also suitable for the outdoors. There is just something about cushions and throw rugs that works wonders for dressing up any space. The same works for your outdoor deck too. Not only does it add a glorious splash of colour, throw rugs are great to snuggle under on cold nights and cushions… well, who doesn’t love puppy dogs and thick floofy cushions to lounge around on?? When it comes to warmth and comfort, nobody needs convincing on cushions and throw rugs. Designed by Award Winning Furniture Master Craftsman, Will Marx, each piece is lovingly handmade and custom build here in our workshop for you. This allows us to customise every bespoke piece to any colour or finish to suit your home. To find our more, start browsing our “Once Upon A Queenslander” collection and check out the lovely photos we have.